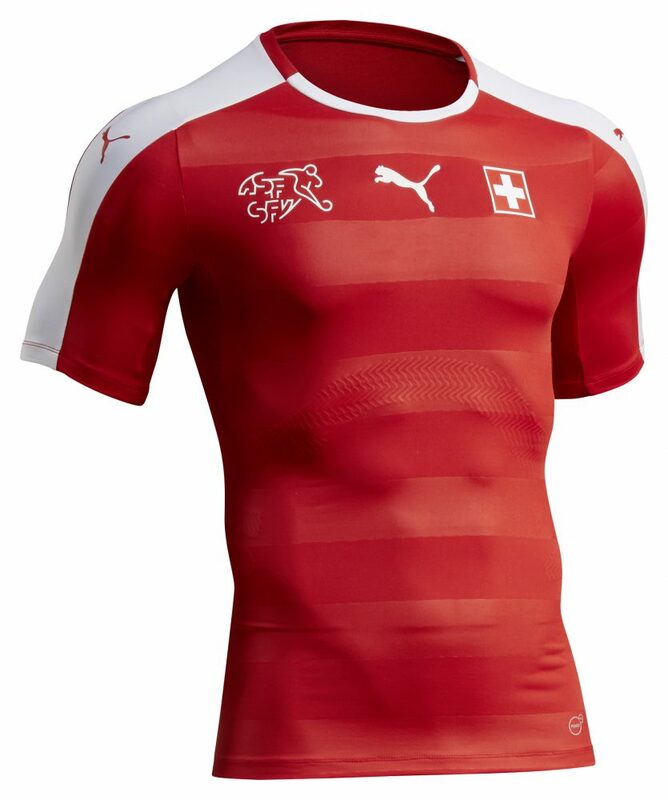 Like the other PUMA Euro 2016 kits, the new Switzerland Euro 2016 home shirt gives the look of a modern design. The new Switzerland Kit has a fresh look of classic Switzerland football shirt, and it was worn by the players for the first time against Slovakia on November 13, 2015. The new Switzerland Euro 2016 home shirt is a classic red and white combination, which follows the Swiss national team’s traditional colour. A bold white strip runs down the collar to both the sleeves. 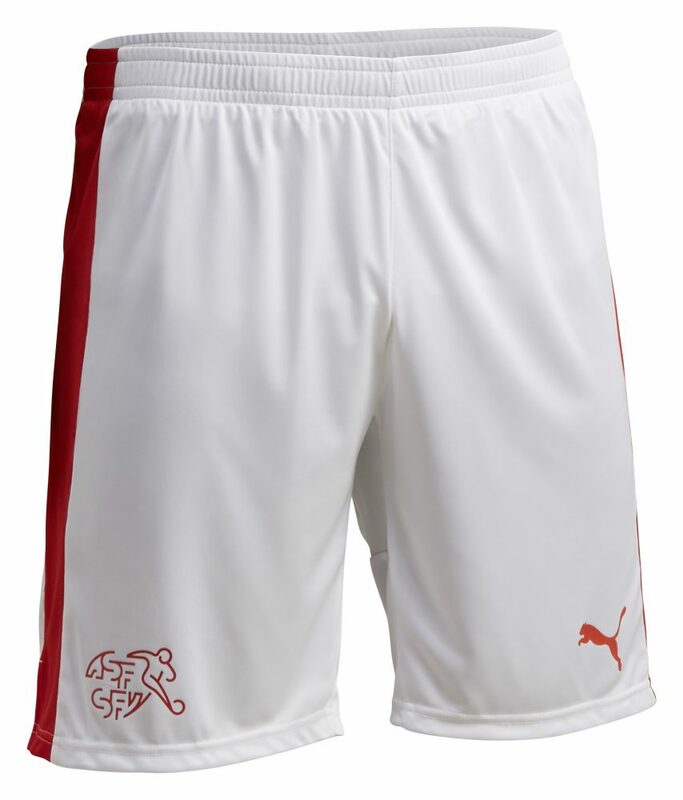 The red and white colour combination is also visible on the modern crew-neck collar of the shirt, along with two PUMA logos on the side. The frontal side is crimson red, with fine broad strips running across the shirt in a smart design. The White Puma logo is centrally placed between federation crest and coat of arms. The shorts are white with fine touches of red stripes on the borders. The shocks likewise complements with a matching red and white collar combination. Overall the new Switzerland Euro 2016 Home Kit is a modern, simplistic design with a fresh new look.